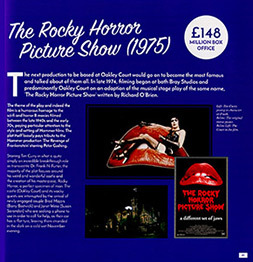 We first heard about his book a year or two ago when we were approached by the author Jake H. Roche about including some information on the Rocky Horror Picnic Show, our annual fan event at the Oakley Court Hotel. For the one person out there that didn't know, Oakley Court was the original filming location for The Rocky Horror Picture Show as well as many other movies and television productions. 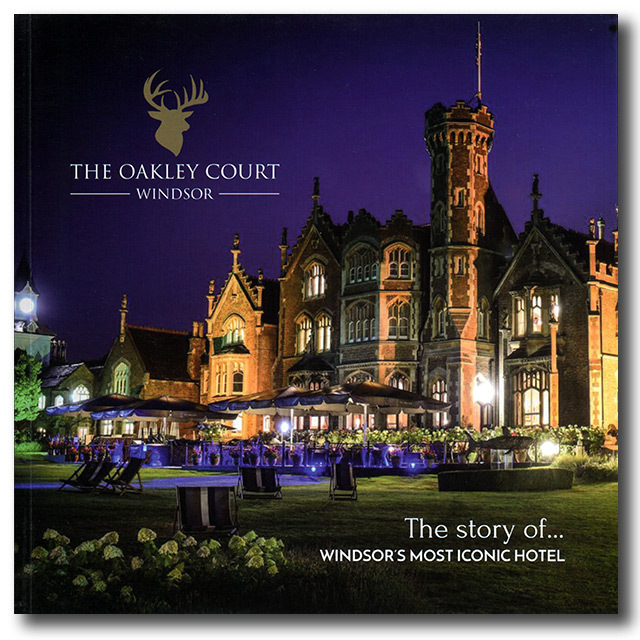 Jake has created an incredible book listing the history of Oakley Court from 1859 to the present. From the construction of the court in 1859, through the many illustrious guests that stayed there to the years it fell into disuse as a home and became a backdrop and filmset to many iconic movies and finally to the rebirth of the court as a luxury hotel. The book contains hundreds of images and photographs and so much information, much of which I didn't know myself and I have spent many an hour researching the place in the past. 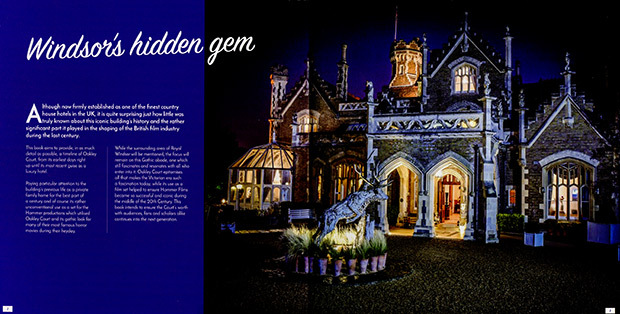 I love the section on the movies that were filmed at Oakley Court, of course we all know The Rocky Horror Picture Show was filmed there, but it is so interesting to see which other movies owe their look to one of the most iconic buildings in the country. Jake has also included a full room by room list of movies shooting location in the main house. 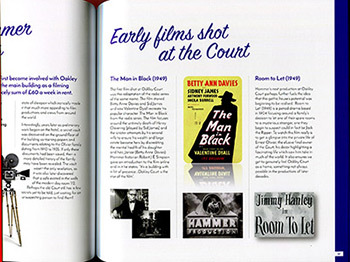 There is a whole section about The Rocky Horror Picture Show in the book and it is credited as probably the most famous movie shot there. 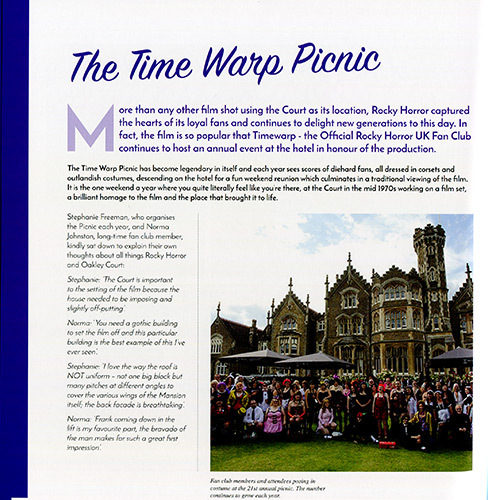 There is even a page about our Rocky Horror Picnic Show event we run at the hotel on the August Bank Holiday weekend each year. At time of writing we are up to 11 picnics completed and number 12 already booking for 2017. Overall it's a great book, done with love and a incredibly detailed record of one of my favourite places to visit and stay. The book is not available to buy in the shops, but Jake has set up a special page where you can buy a copy direct. Oakley Court themselves will be using a version of the book as a gift for VIP guests only, but you have the chance to buy the extended version we used for review which is 24 pages longer than the hotel's copy. Visit www.jakerochebooks.co.uk to purchase your copy for the bargain price of just £14 including postage and packing. All images and text used with permission for the purposes of this review. Please do not reproduce these anywhere else.